0 job(s) at TYR Sport, Inc.
At TYR, we’re more than a community, we’re a team–and our team loves a good perk. In addition to convenient LIRR shuttle service to and from the Farmingdale train station, TYR Sport offers competitive compensation, medical and dental benefits and a matching 401k plan. Our collaborative work atmosphere provides an innovative environment for professional growth and is teeming with the best combination of both athletic and creative talent. Companywide we promote a neat, yet relaxed dress code. 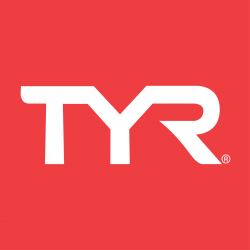 Not only does every employee receive a yearly apparel voucher, but we also score discounts on all TYR products. What can we say… we love to sport our gear both in and out of the office! As a brand we are dedicated to helping people lead healthy and active lives, and our employees are no exception. At TYR we each enjoy earned paid time off, as well as summer Fridays! In order to remain “Always in Front” we believe in the importance of proper work life balance. Like all athletes we work with an intense spirit of competition, but unlike the others, we refuse to stop there. From the planning stages to the production floor, everything we do revolves around synthesizing creativity, experience and sheer will power. For us, engineering the fastest, most advanced performance products is more than just a goal, it’s a requirement.